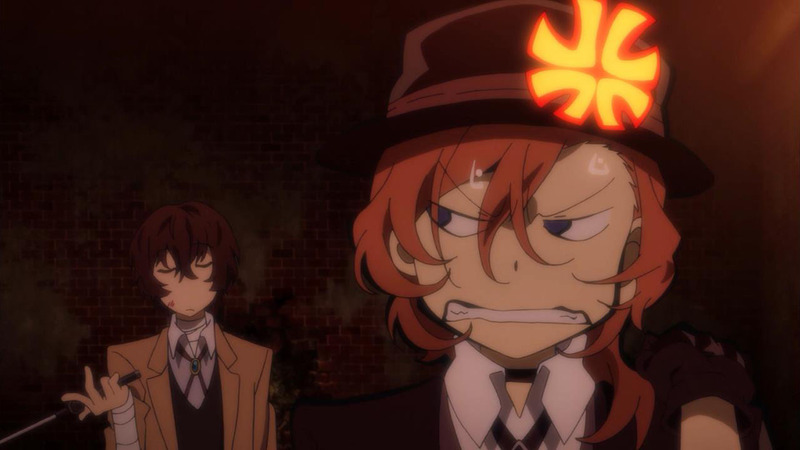 The first half of the episode focused on some development between Dazai and Chuuya. It went from a very tense and confrontation situation to a more comedic one at the end. 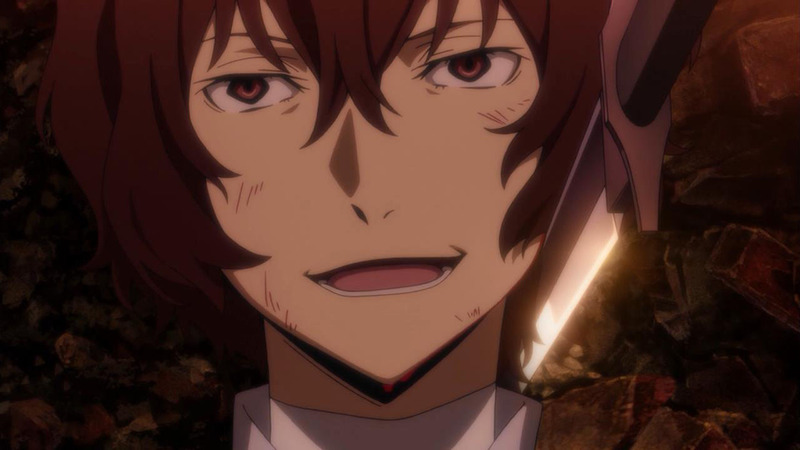 Their short conversation revealed a lot more about Dazai’s motives but also their relationship being partners in crime (literally). 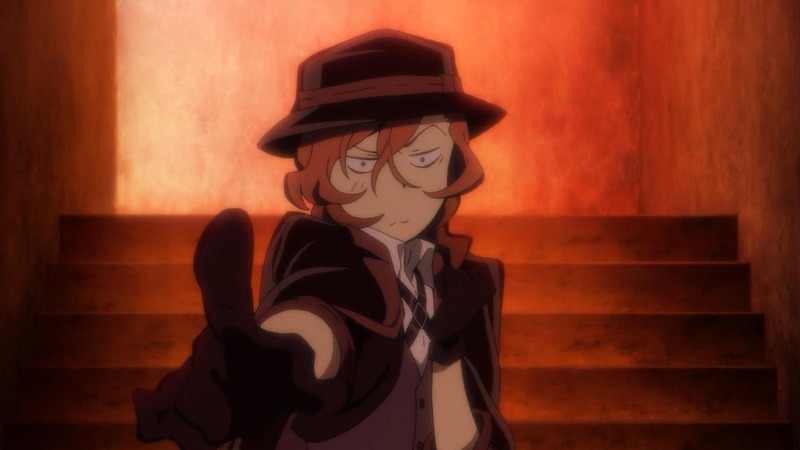 Whereas Dazai appeared more dangerous and lethal in my eyes, Chuuya seemed less intimidating; especially at the end there. 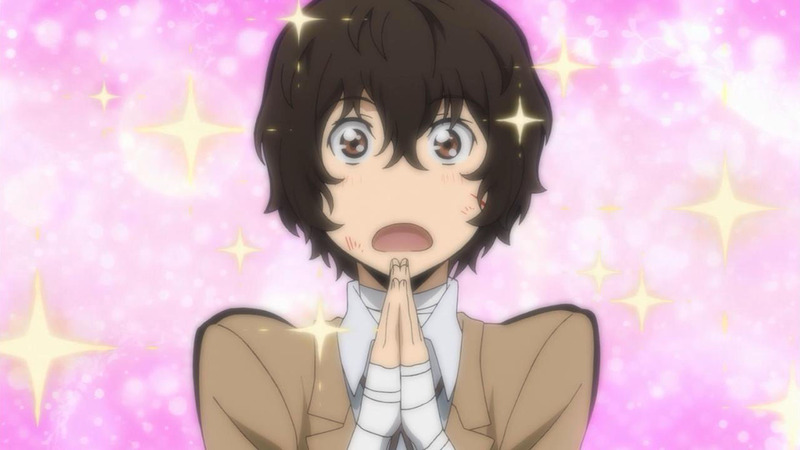 I give credit to Dazai for appearing before the Port Mafia himself but I’ll admit that the plan is gusty. 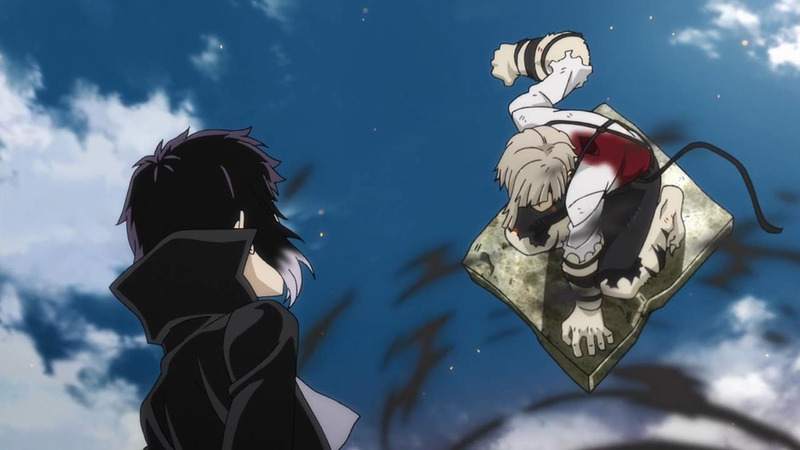 He writes a letter to provoke the executives of the Port Mafia to hold a meeting, and he even threatens to reveal their secrets if he dies. That’s not a threat to take lightly and now he has everyone turned against him – plus his own team probably doesn’t know where he is. And all for what? 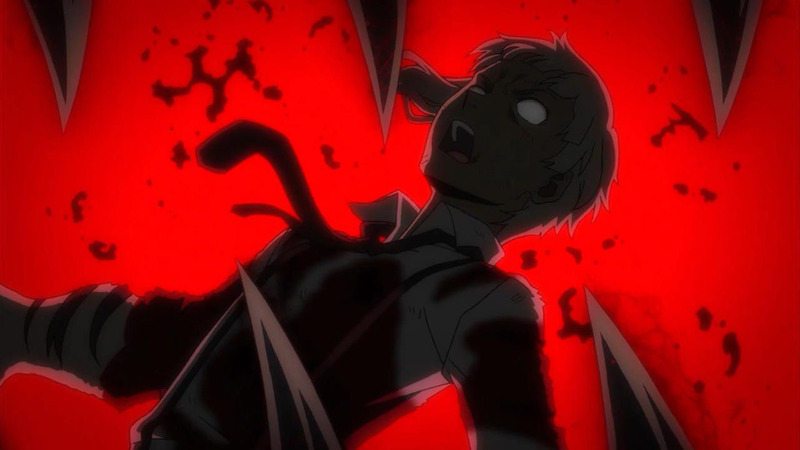 To find out who has a bounty on Atsushi (and possibly eliminate him). 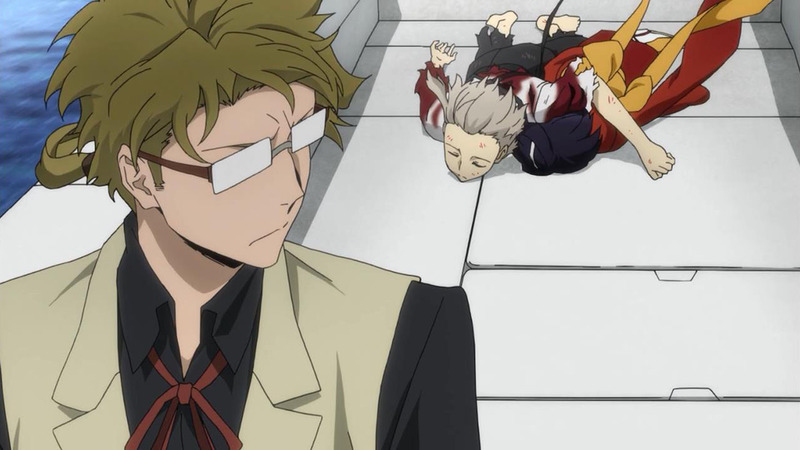 That’s a long way to go for Atsushi, so I hope he’s worth it. 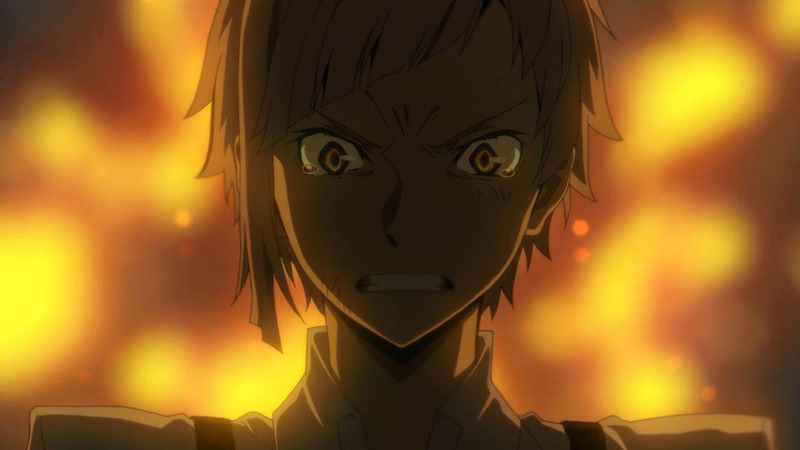 We have yet to see what makes Atsushi so special other than the fact that he’s the main character. To me, there are a lot more interesting characters out there that deserve that title more. 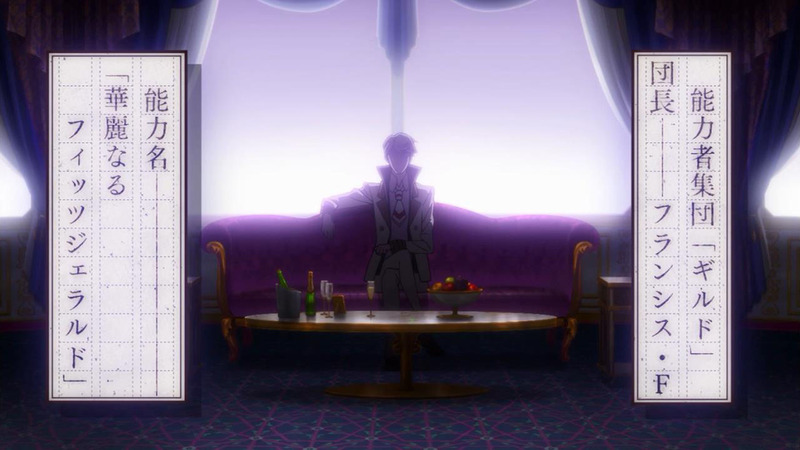 I wonder if that’s also what puzzles Dazai about the large bounty on Atsushi’s head. 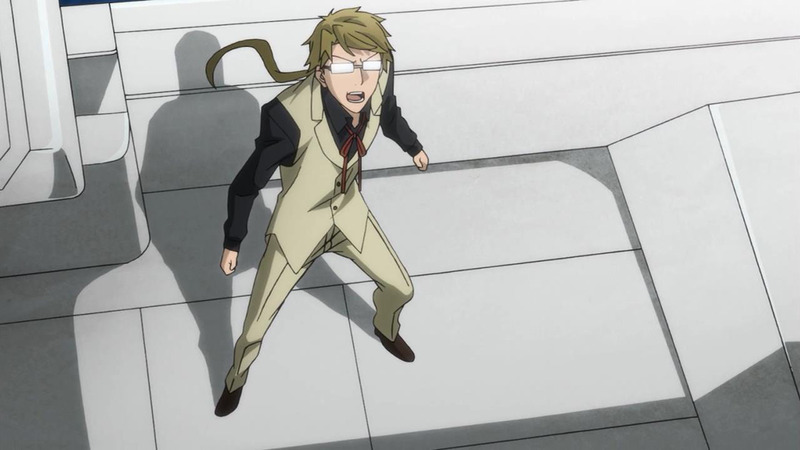 And while this is all going on, Atsushi faces off Ryunnosuke all on his own like a boss. 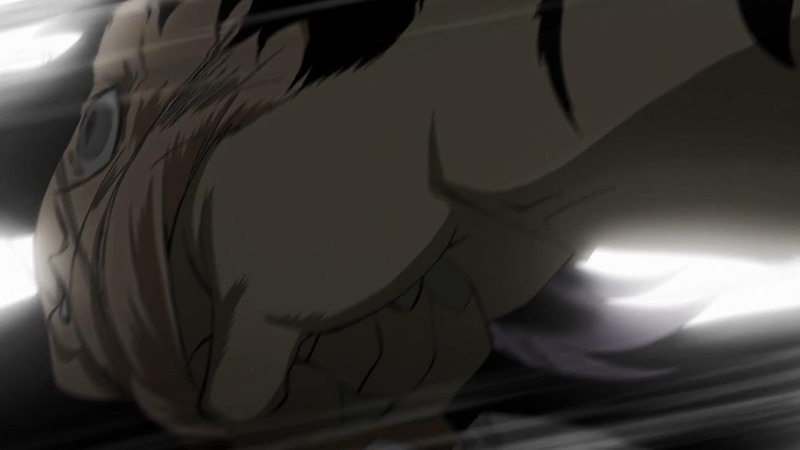 Thanks to his ability to heal quickly on the spot, Atsushi turns out to be quite the adversary for Ryunnosuke and he puts up a good fight. 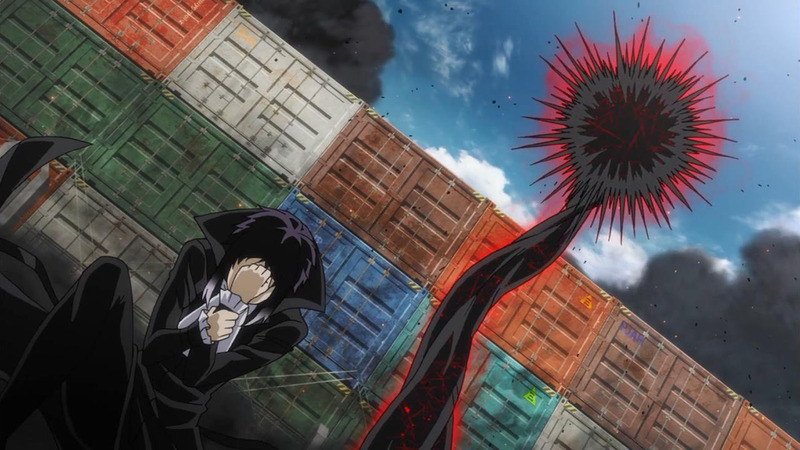 In an attempt to save both himself and Kyouka, Atsushi fends off Ryunnosuke alone on an exploding ship. 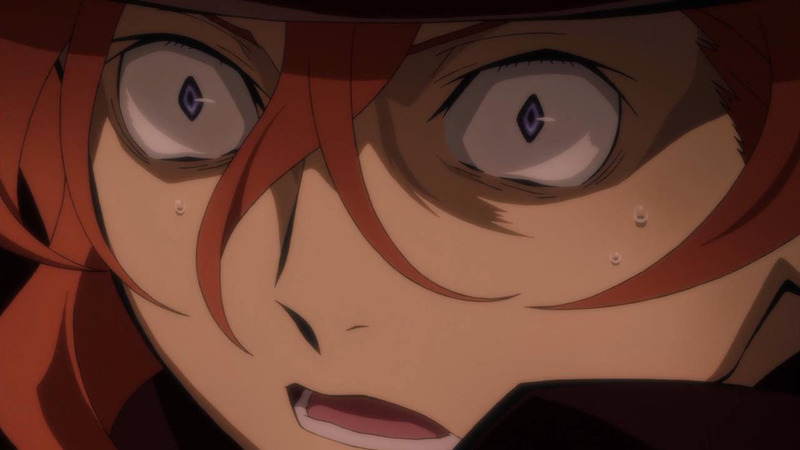 Meanwhile, Doppo is in a small boat circling the ship hoping to catch Atsushi but doesn’t actually involve himself in the fight. 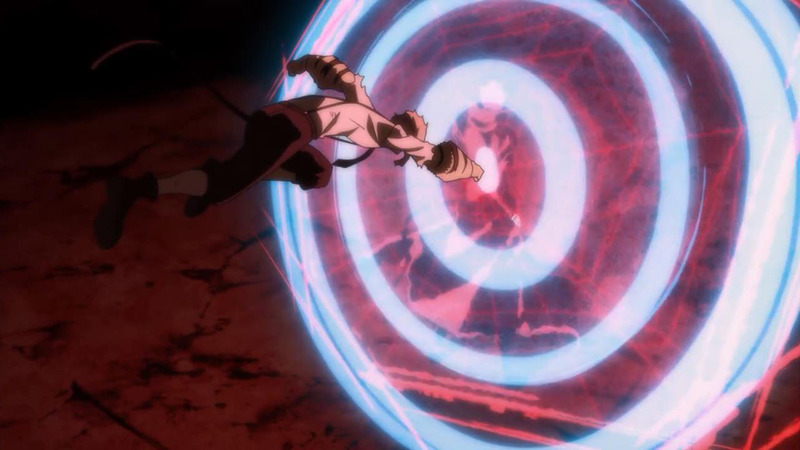 It was an amazing treat to see how wonderfully this scene was animated and it’s done with a lot of detail and attention. 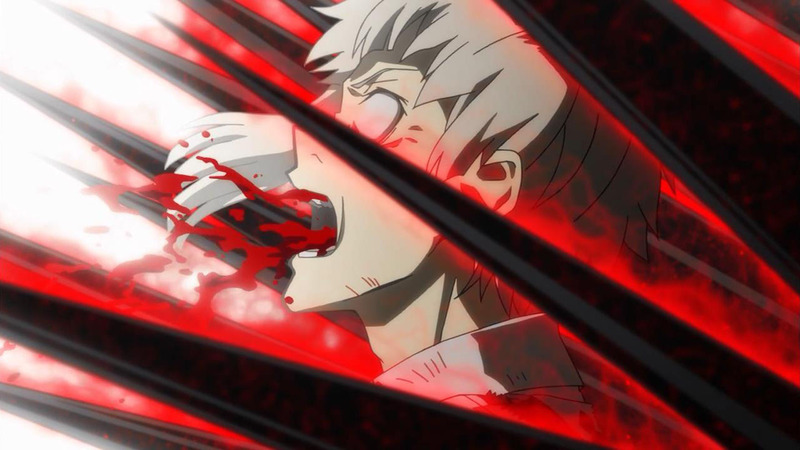 There’s not a lot of dialogue exchanged between the two so I really got to focus on the intensity of the scene – how scary Ryunnosuke really is and how tough Atsushi turns out to be. 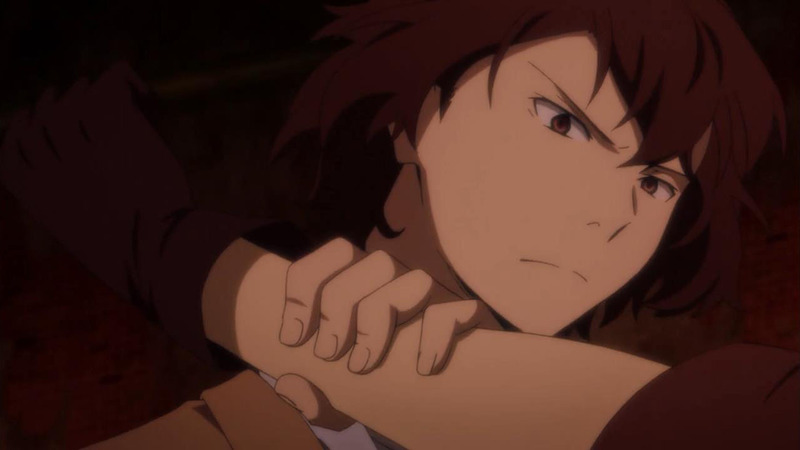 There’s a flashback showing Ryunnosuke’s earlier days as Dazai’s student and it’s clear that he’s come a long way since then. 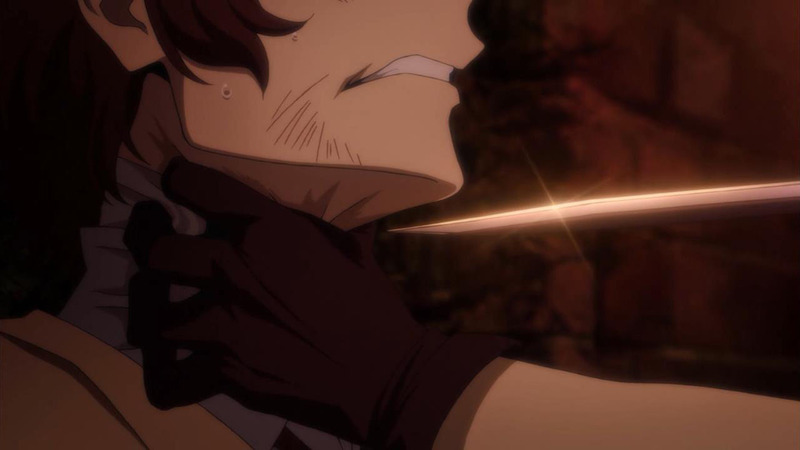 I’d say that this is probably when he had the most respect for Dazai and it was a huge betrayal to him when Dazai got up and left the Port Mafia. 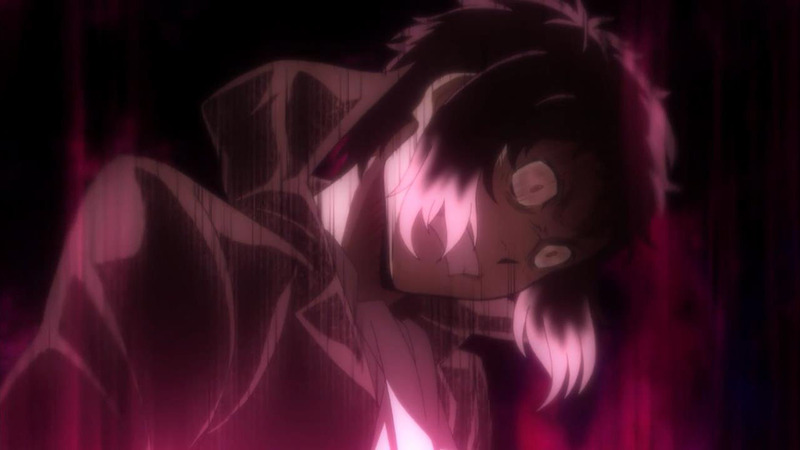 Not to mention that Atsushi randomly appears and suddenly Dazai thinks that Atsushi is superior… I can easily empathize with how Ryunnosuke is feeling. 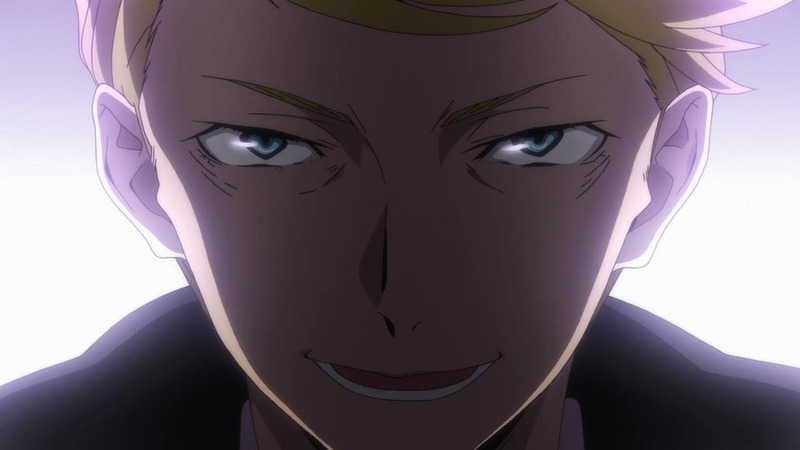 I won’t justify his actions and I still think he’s evil, but I mean – I can see it from his point of view. 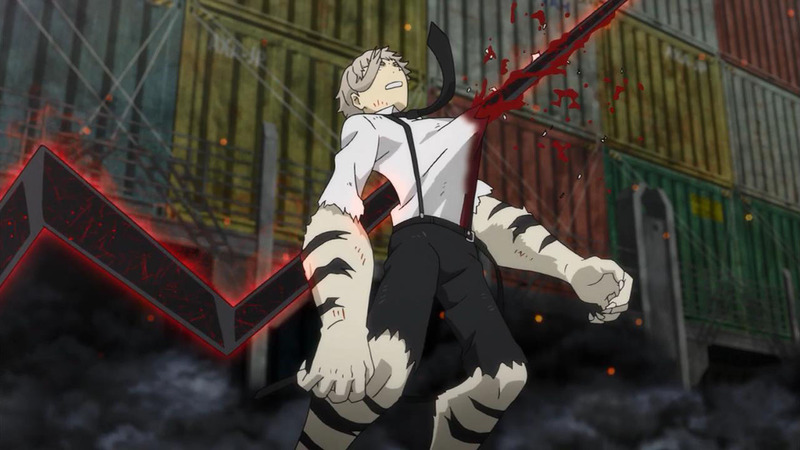 Atsushi on the other hand, gets huge props for going against someone in the Port Mafia and winning! Winning in my opinion because he comes out alive even with all intents on killing him or delivering him to this guy. 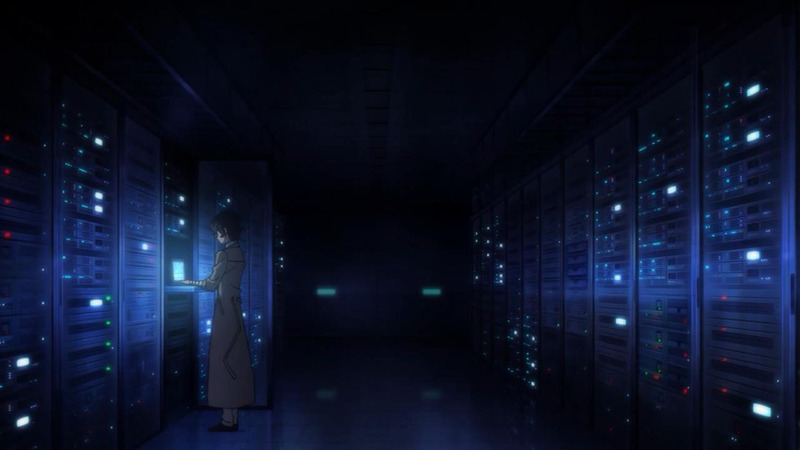 This leads us to the man that Dazai has been chasing down. 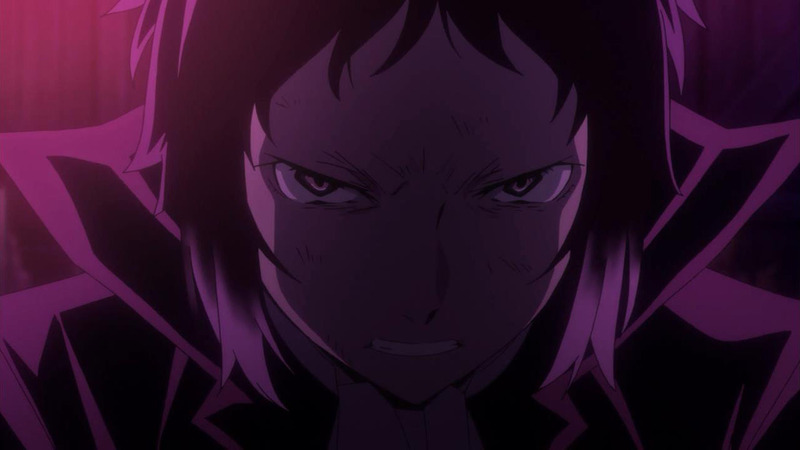 Little is known about him other than Dazai’s reaction to his discovery. 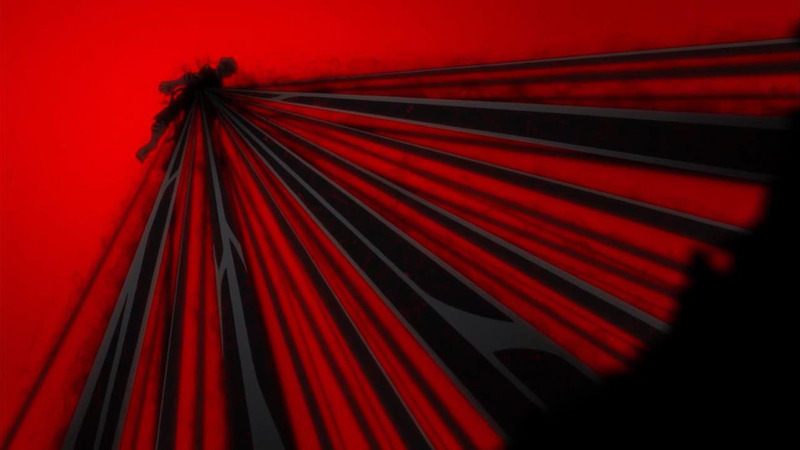 Unfortunately the preview for next week doesn’t indicate if we’ll see him more. 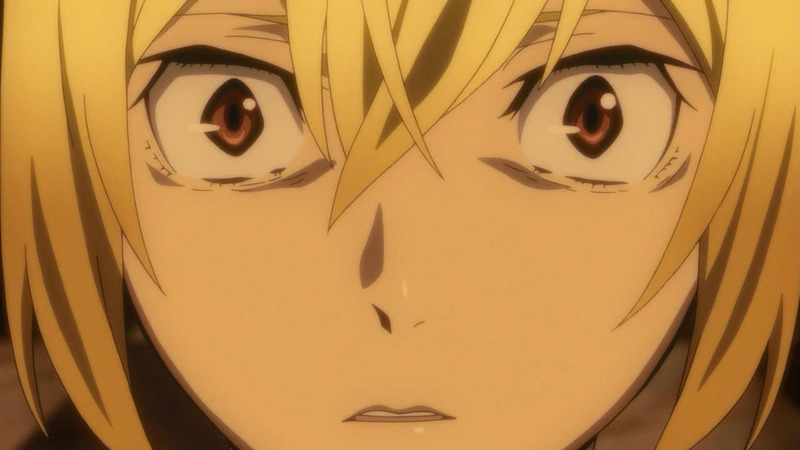 It seems to focus on the other characters whom haven’t been introduced yet in the Agency and Port Mafia. 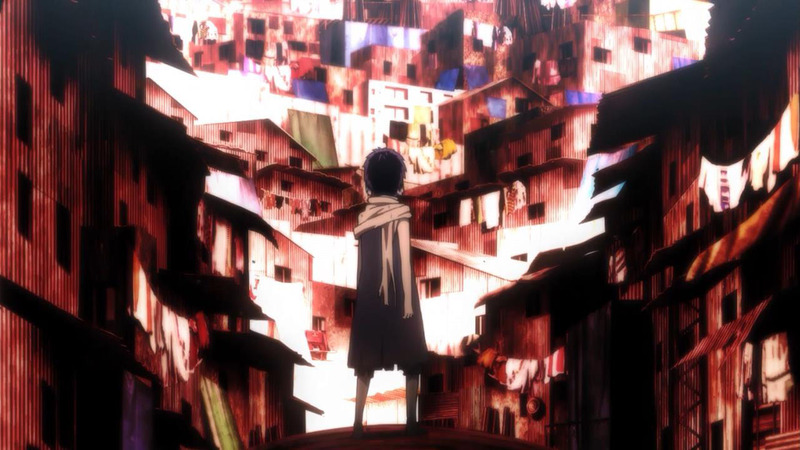 With little time to spare, I thought Bungou Stray Dogs would try and finish a complete major story arc before the first cour ends, but we might be headed for a cliffhanger at this rate. 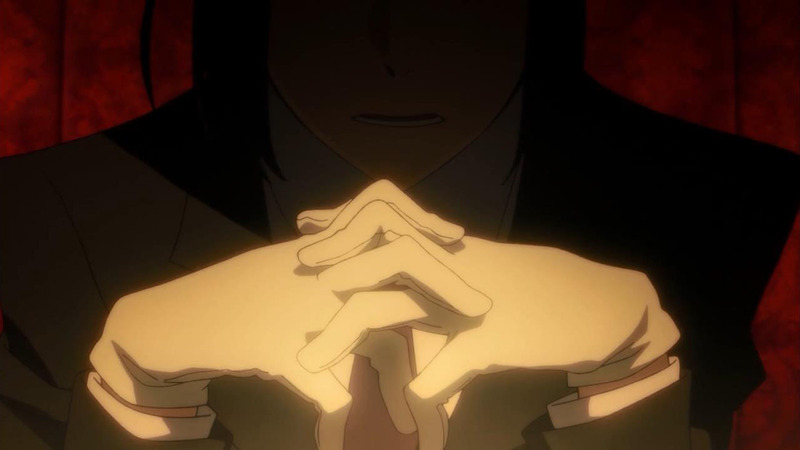 Let’s just hope that it finishes off with more details about Dazai and his relationship with Atsushi vs. Ryunnosuke because the ending even heavily suggests that there’s contrasts or deeper connections there. 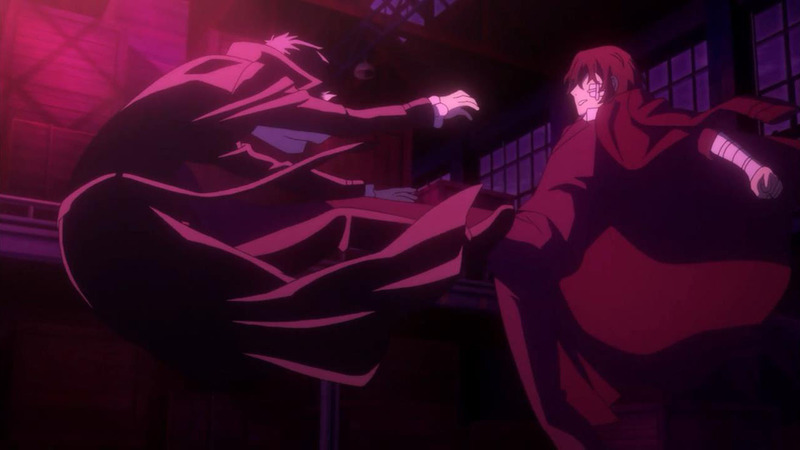 Bottom Line – @RCCherrie: Wow, Dazai is such a badass in #BungouSD, I love it! His intelligence shouldn’t overlooked by the suicidal thoughts. 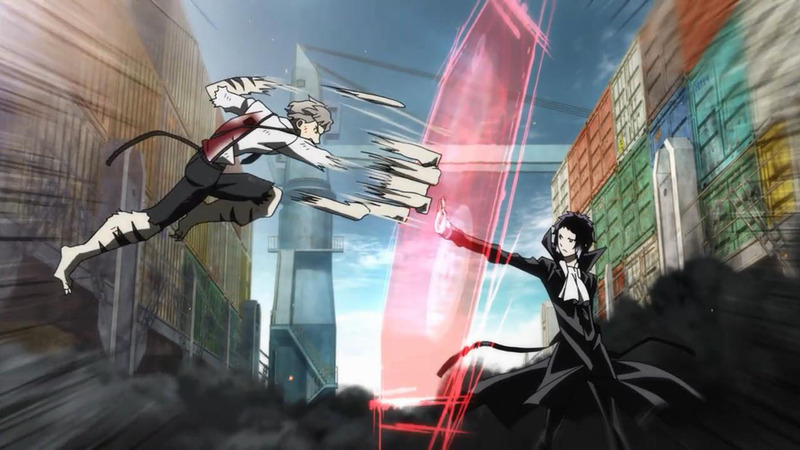 Meanwhile on the boat, Ryunnosuke and Atsushi really square off. An impressive battle with a lot of effective imagery and sound effects for Rashomon. I felt the impact. 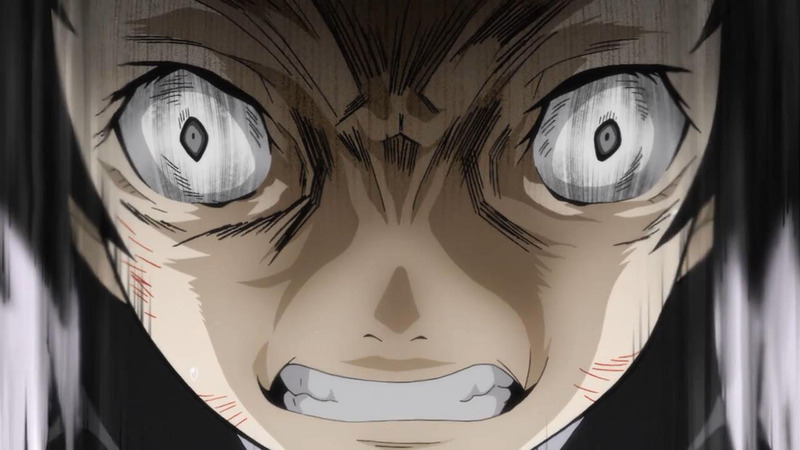 Despite how dangerous he is, I view Ryunnosuke as a lower class villain. His only acts onscreen is to kill it until it goes away. As subtle as a napalm enema. 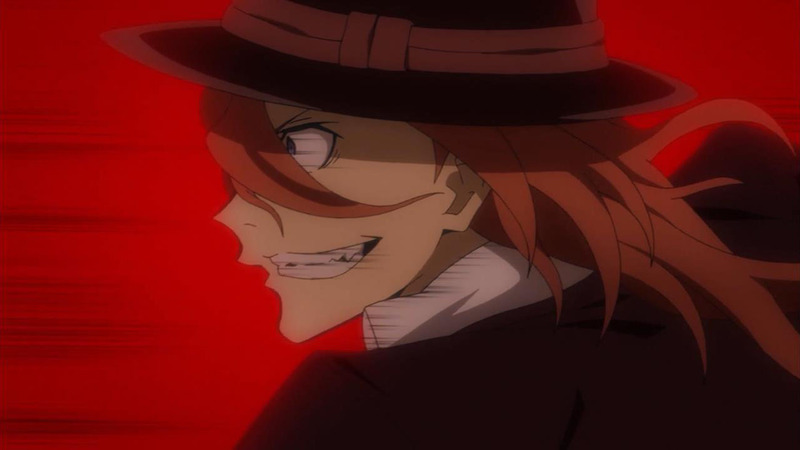 Chuya’s skills are really something; too bad he’s not half as wily as Dazai. 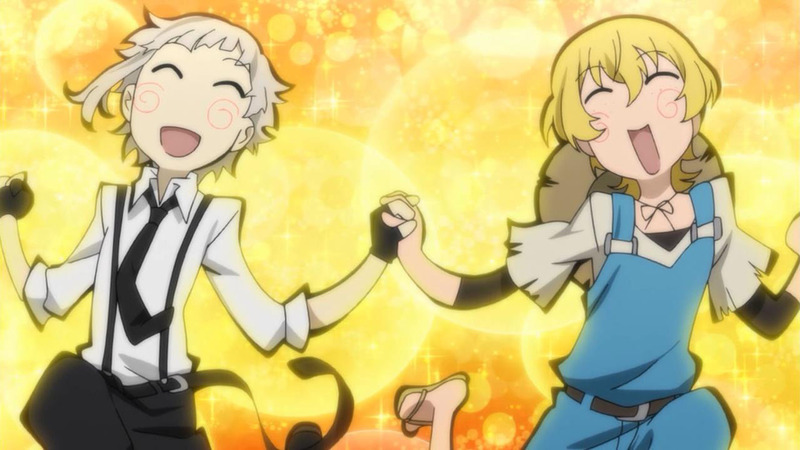 But I can kind of see how they managed to work together when the latter was still in the mafia…they complement each other, in a rather odd way. 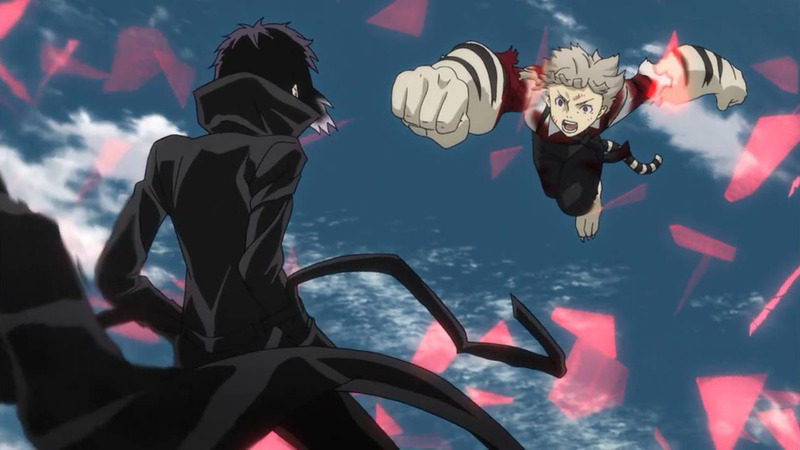 But if Dazai’s martial arts skills are below average, it means that Akutagawa’s skills are honestly not impressive at all – guess all he has are his lethal ability and deep hatred. 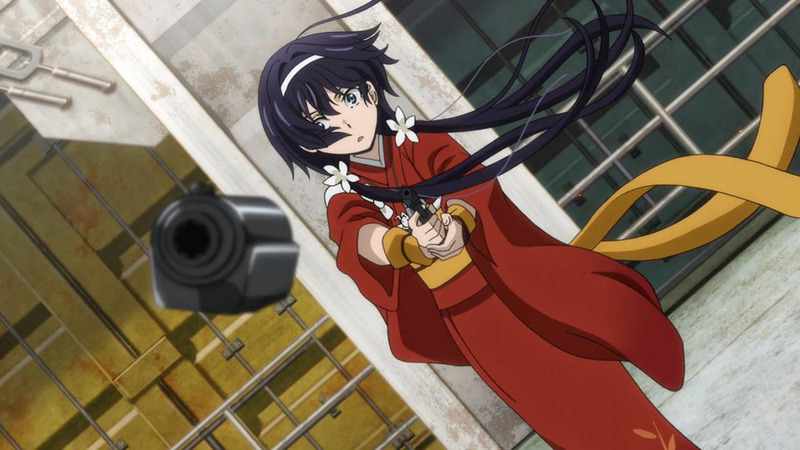 Higanzakura is a real sight to watch, though. 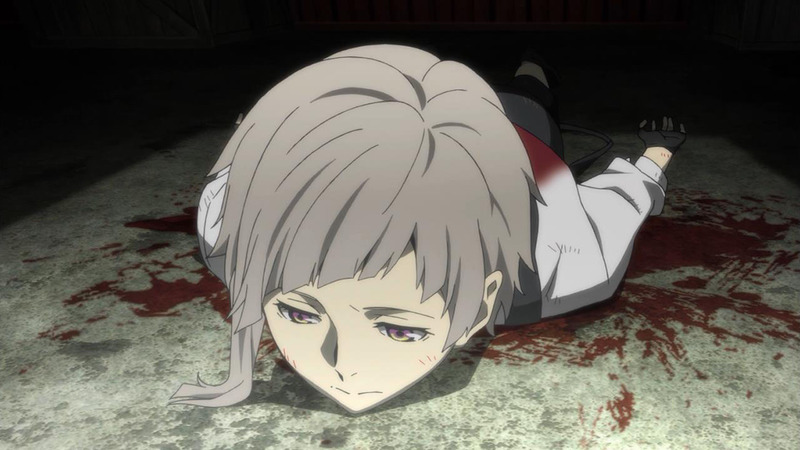 For me the fights were the highlight of the episode; I’m just relieved that Atsushi has stopped wallowing in his self-pity and low esteem. Maybe we won’t have so many of the same flashbacks now that he has proven himself. 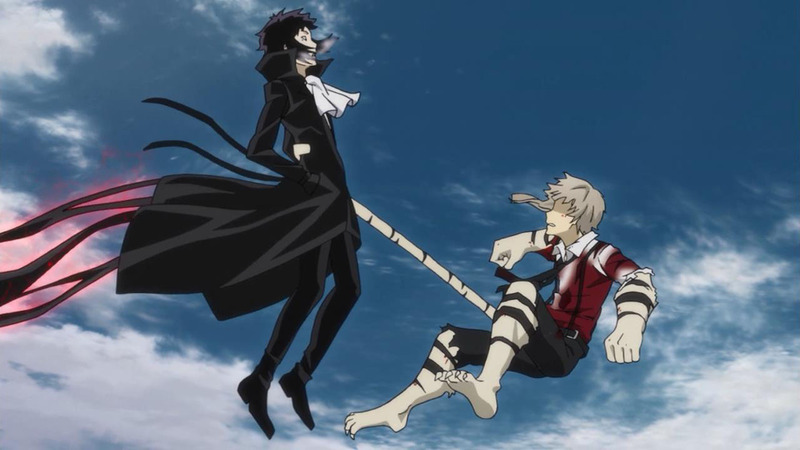 I think that the voice acting was particularly well done this episode, especially Akutagawa’s seiyuu…part where he screams madly at Atsushi was my favourite. Considering that he and the eponymous Tanaka kun of this season share the same seiyuu, that scene is even more impressive in my eyes. Fantastic ep!! But it looks like we have not gotten to the real meat of the show yet. 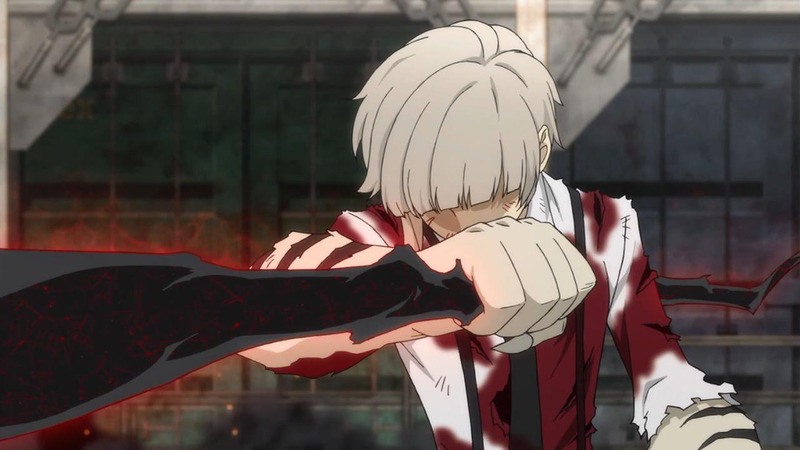 With proper training, Atsushi could be a unstoppable fighter. 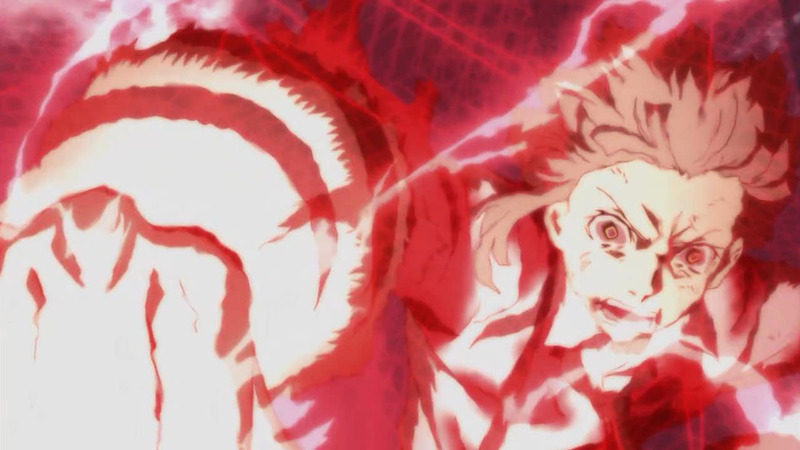 His weretiger abilities mean agility and super-regeneration, if he can keep his head and not go total tiger. 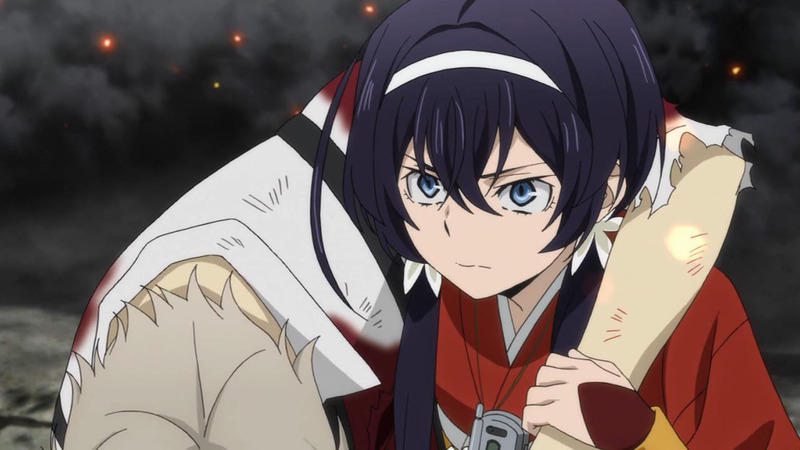 It would take years at this point, since Atsushi is not starting out in a martial school at age five, but it could be done. 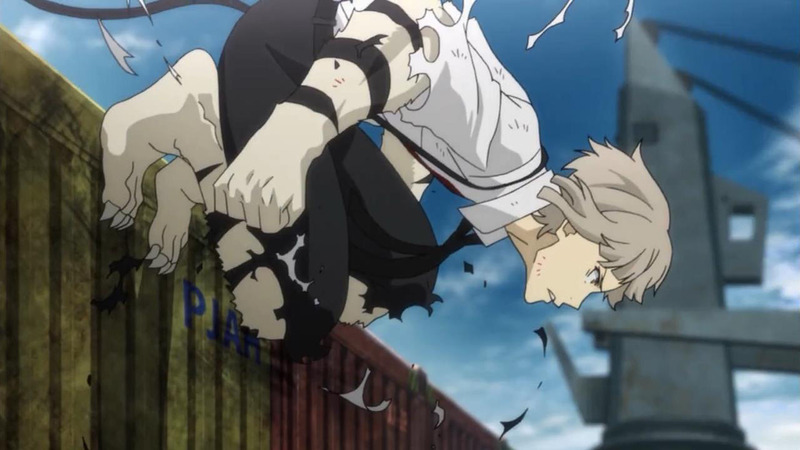 I love his character development from starving wimp unable to stand up to authority figures to someone willing to put his life on the line to save another person.